Belarus held its national final tonight. 10 songs competed live and Alekseev ran with the trophy and the ticket to Eurovision Song Contest 2018 in Lisbon with the song "Forever"
Tonight we found the Belarusian representative at Eurovision Song Contest 2018 in Lisbon. Alekseev won the Belarusian national final with the song "Forever". An expert jury had selected 11 artists for the Belarus National Final. One of them withdrew in protest in January. With 10 songs left it was the Belarusian public and a jury who chose the Belarusian participant at Eurovision 2018. Alekseev win the televoting ahead of Shuma (2nd) and Kirill Gud (3rd). Alekseev also won the jury vote. 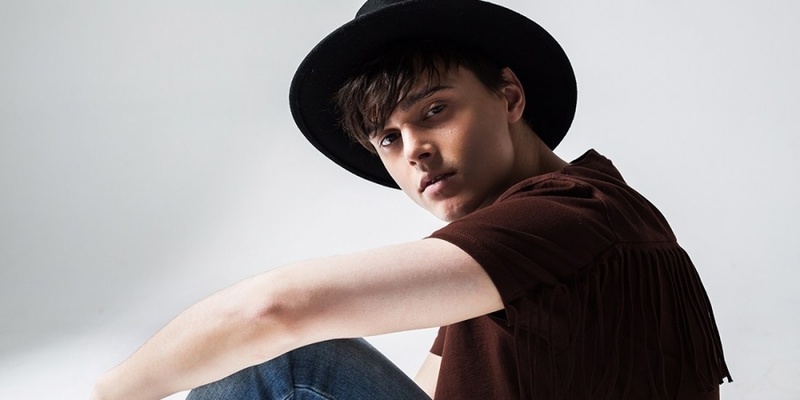 Related storyBelarus has decided: Zena to Eurovision 2019 – "Like It"
Nikita Vladimirovich Alekseev, 24, (Ukrainian: Микита Володимирович Алєксєєв) is a singer and songwriter, born in Kyiv, Ukraine. His career began in 2014 when he reached the semi-finals of The Voice of Ukraine. After that he released his first single, Pyanoye solntse, which quickly earned number-one status and kickstarted his career. There was some controversy over Alekseev's song "Forever", as it emerged that a Russian language version of the song had been performed at several concerts prior the deadline 1 September 2017. Songs that have been made public before this date can not participate in Eurovision Song Contest. Seven of the ten other artists threatened to withdraw from the competition if Alekseev was not disqualified. They also added that the show was rigged for Alekseev to win. Sofi Lapina withdrew in protest from the competition on 16 January 2018, leading to a final with only ten songs. Belarus 2017: Naviband - "Historyja Majho Zyccia"
Belarus haven't had the greatest succes in Eurovision history. They have participated every year since 2004, but only qualified for the Grand Final five times. Their best result is a 6th place with the 2007-entry "Work Your Magic" performed by Dmitry Koldun. This is their only Top-15 position in Eurovision.